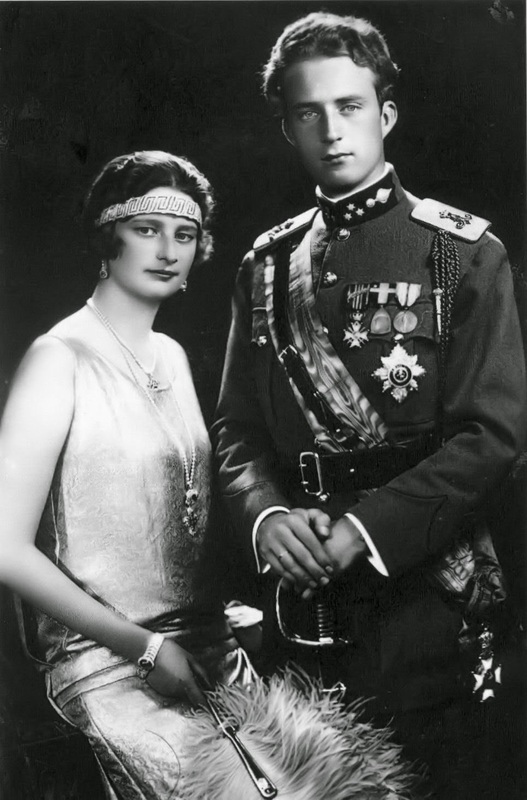 In 1926 crown prince Leopold of Belgium married princess Astrid of Sweden. 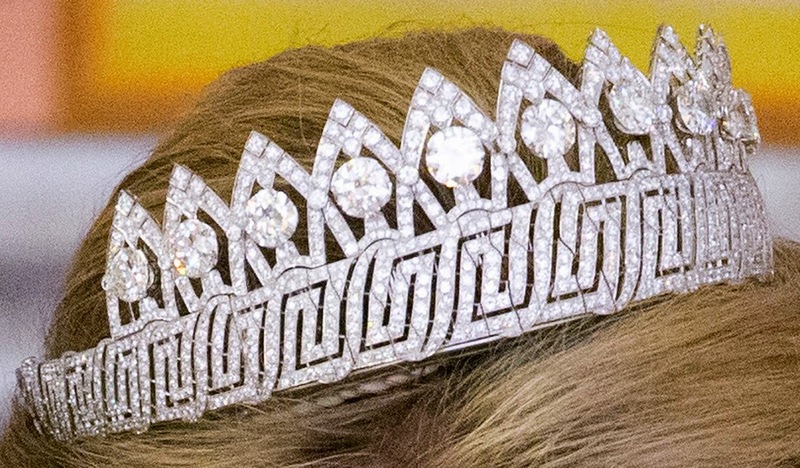 Belgium provided its new crown princess with a gift that was to match her popularity: the tiara of the nine provinces, made from Antwerp cut diamonds from Belgium's colony Congo. 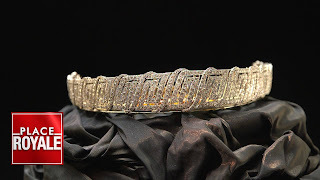 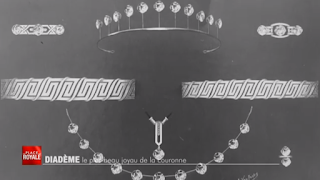 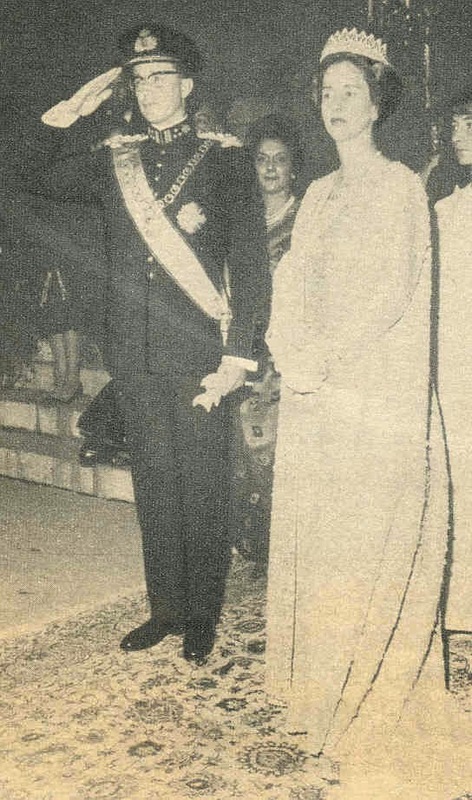 The tiara consisted of an art deco style ("Greek") diamond base, topped with 11 big round diamonds (together about 100 carats) that symbolized the royal house, the 9 Belgian provinces and the Congo. 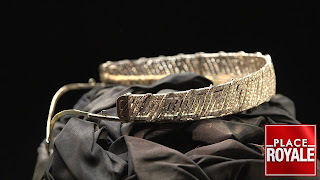 It’s a versatile piece of jewelry that can easily be split into several pieces. 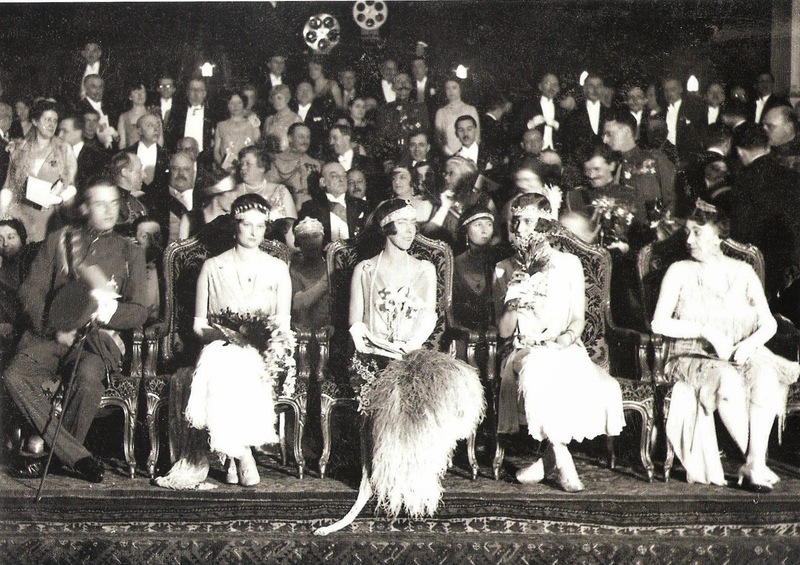 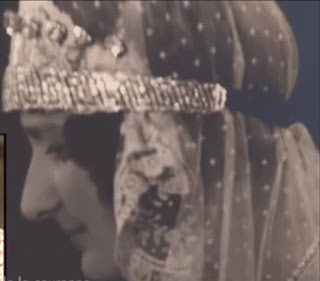 Astrid wore it for the first time at the Bal de la Grande Harmonie in 1927. 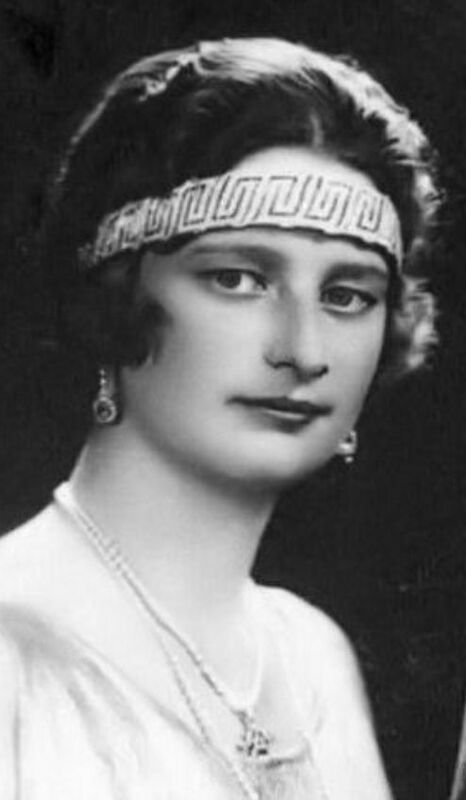 At first Astrid wore it in its original form. 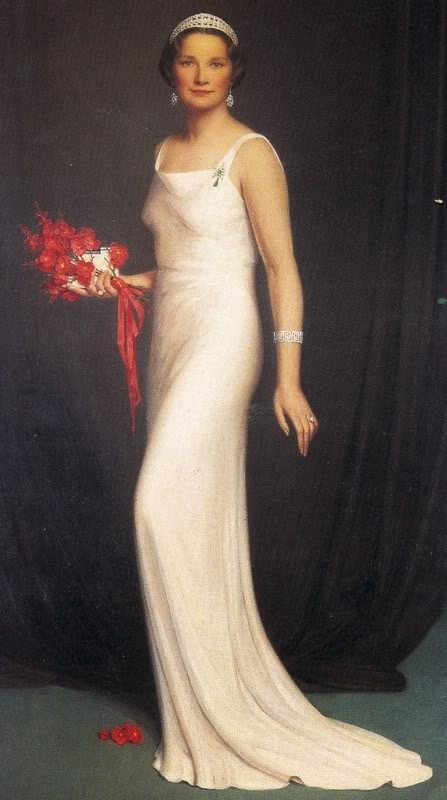 Or using only the base, in the fashion of the 1920s. 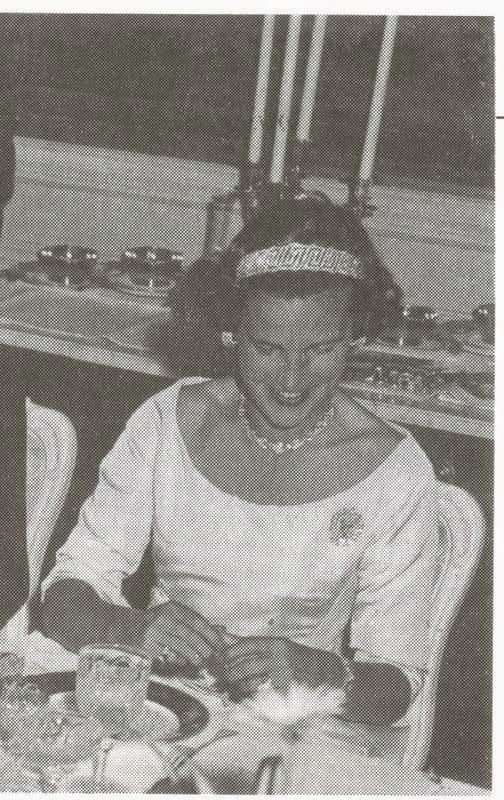 She also used the base as a bracelet. 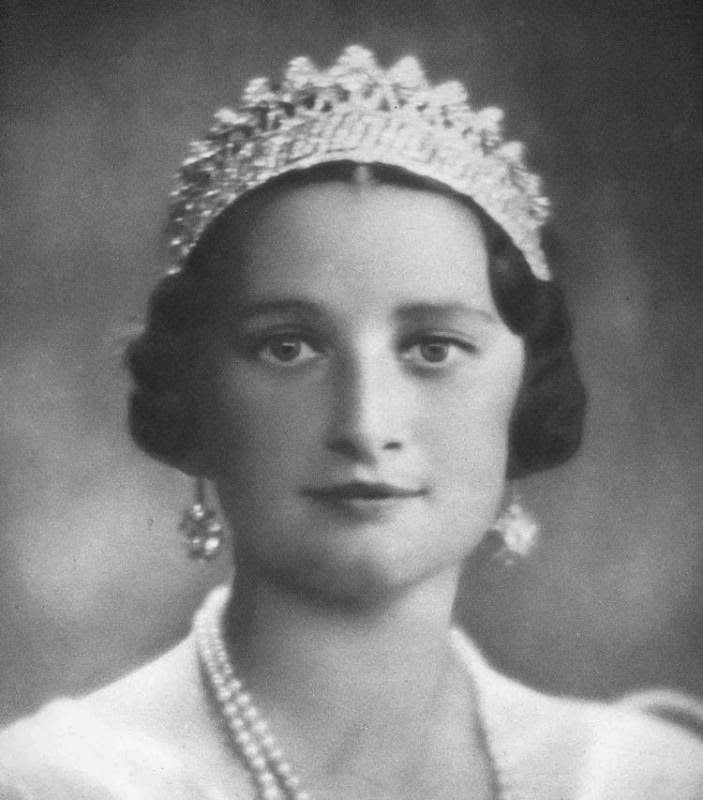 In 1934, when she became queen, Astrid had the design adjusted, putting a frame of diamond lozenge shaped squares on top of the base. 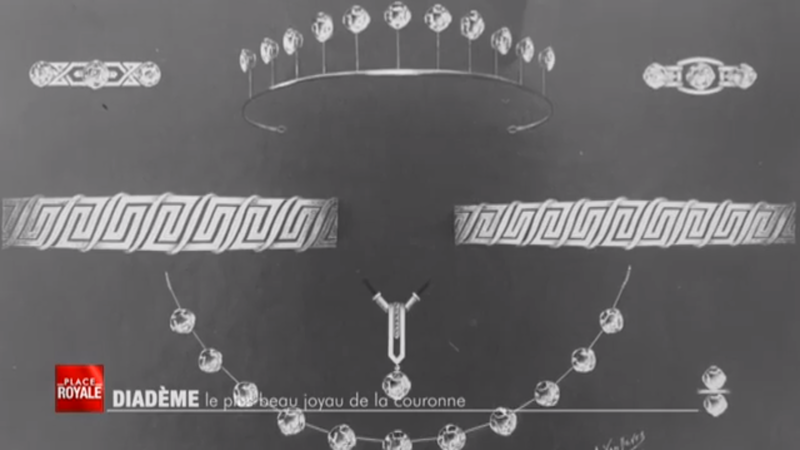 The round diamonds were placed inside the lozenges. 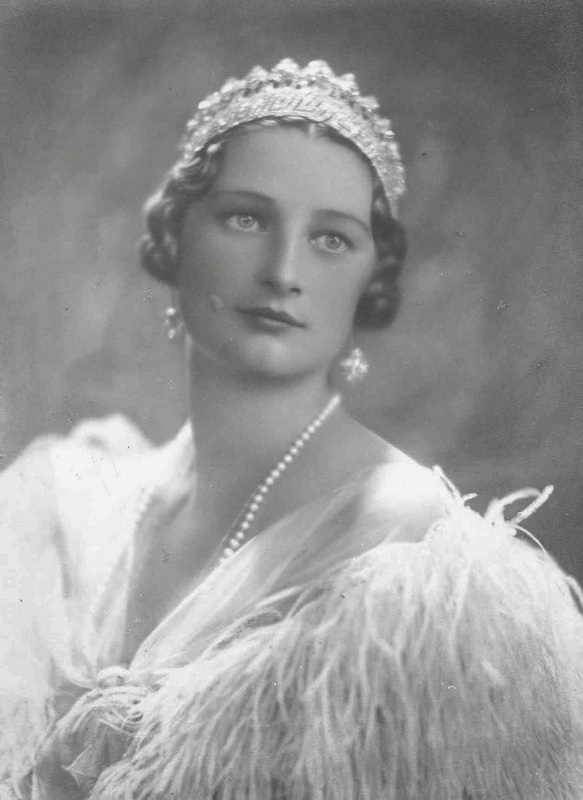 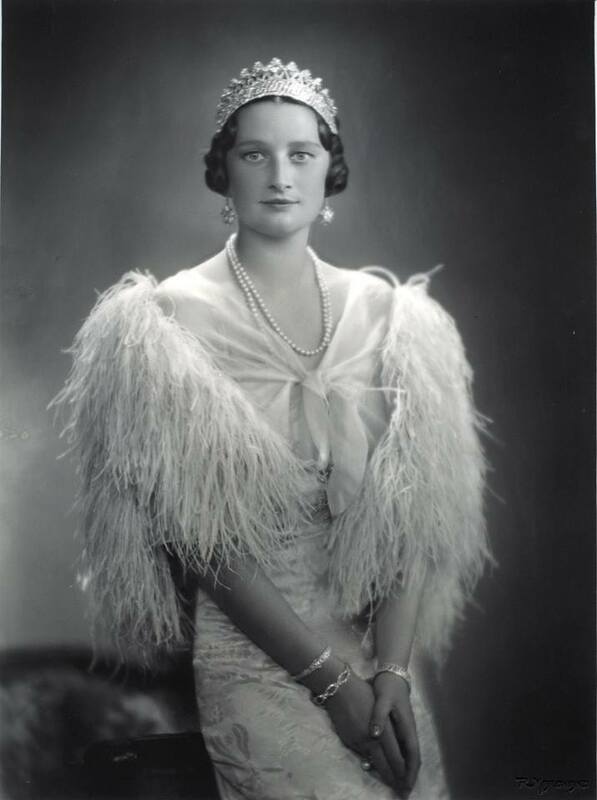 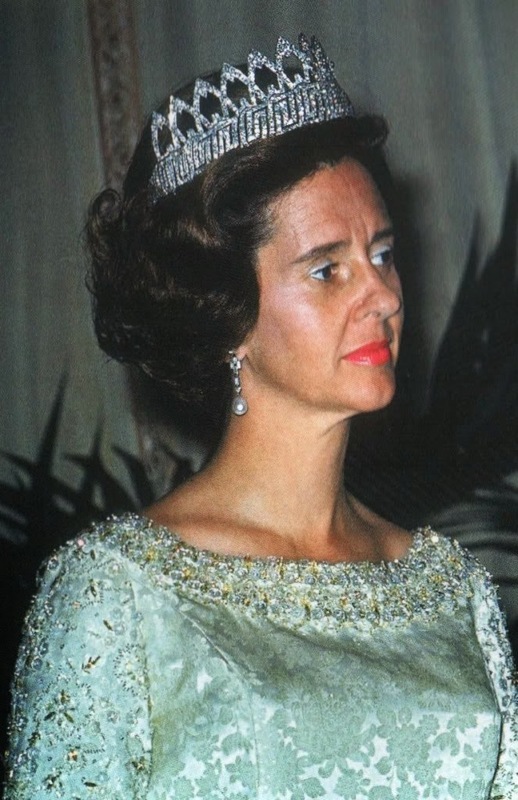 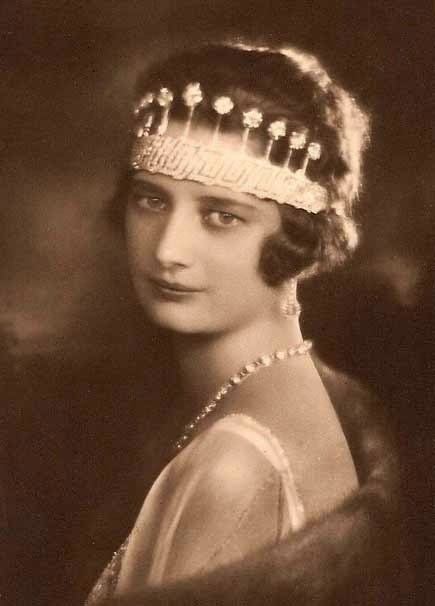 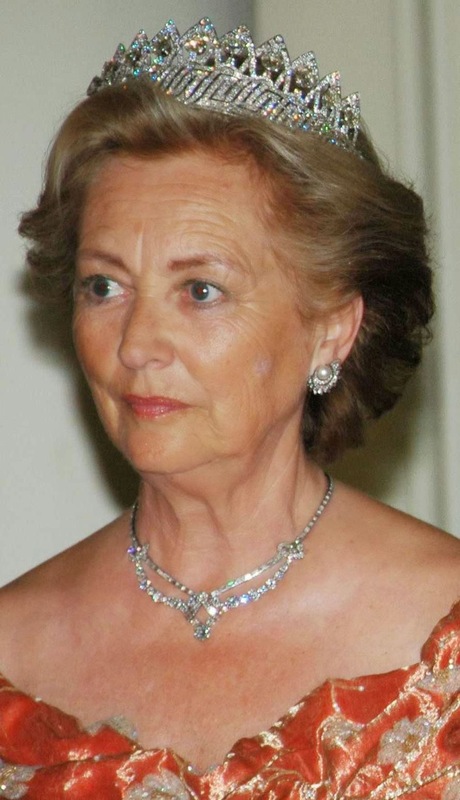 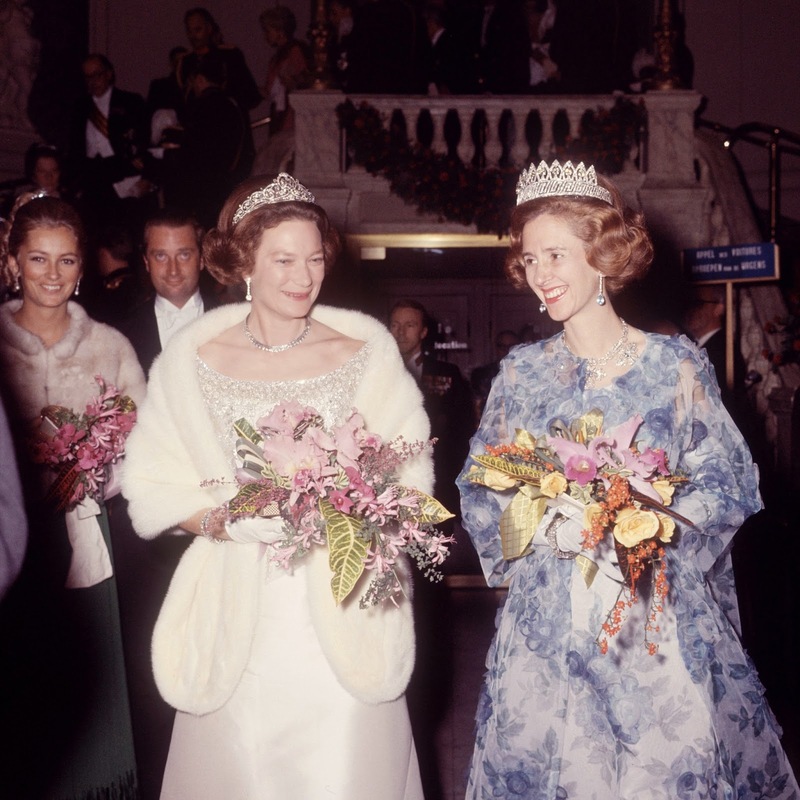 After Astrid's untimely death, king Leopold III’s second wife, princess Lilian wore the base as a tiara or a bracelet. 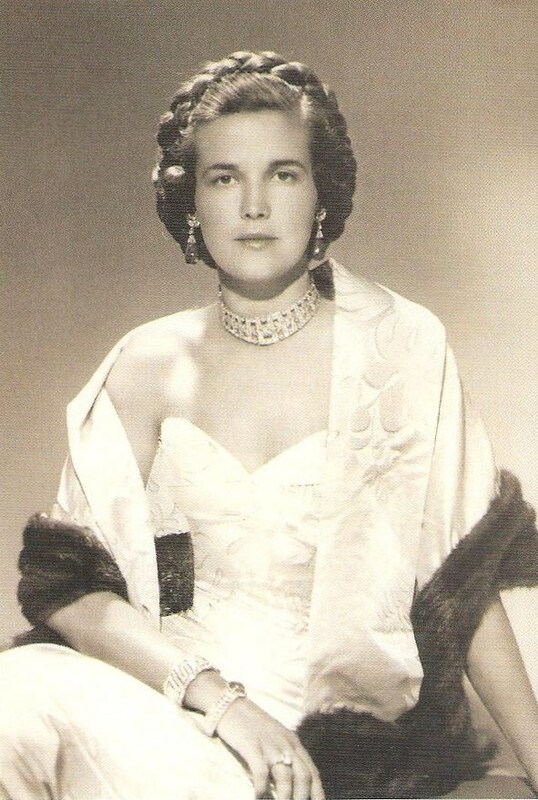 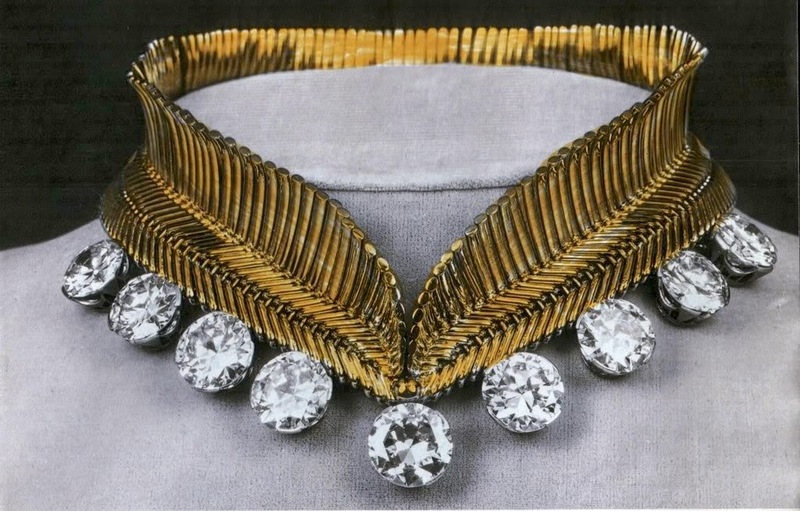 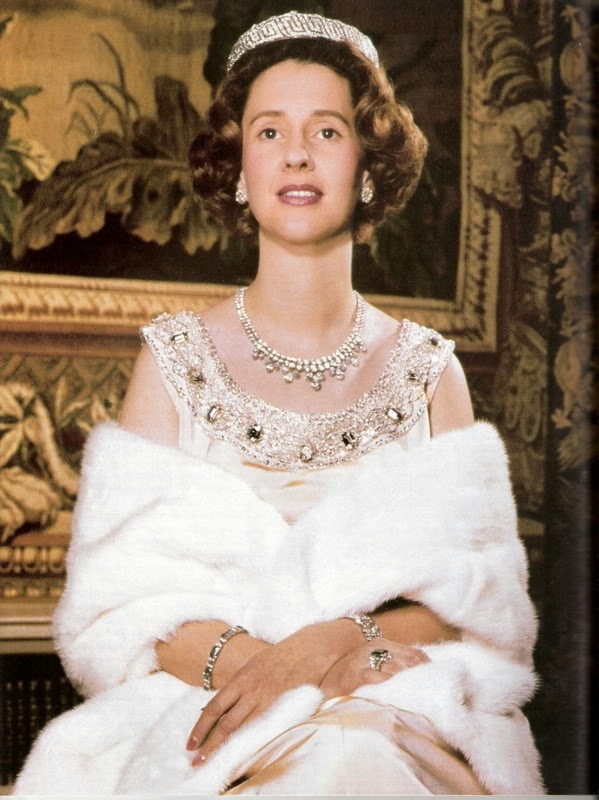 At one point Lilian also had the round diamonds attached to a gold collar style necklace by Van Cleef & Arpels. 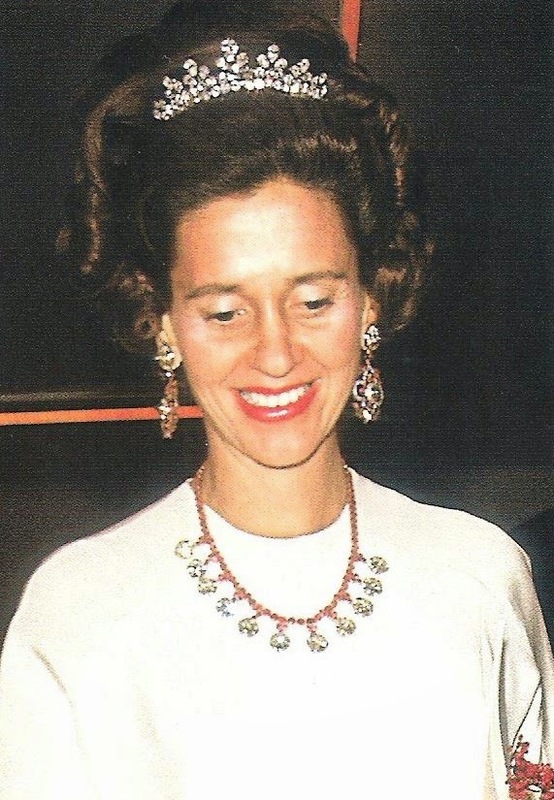 ... and attaching the 11 solitaires to a necklace. 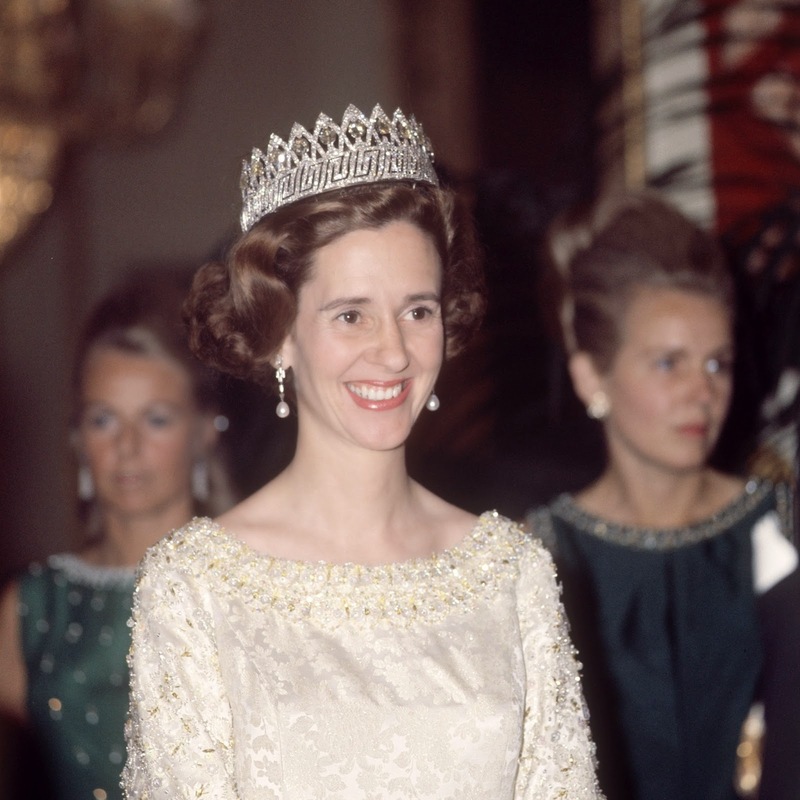 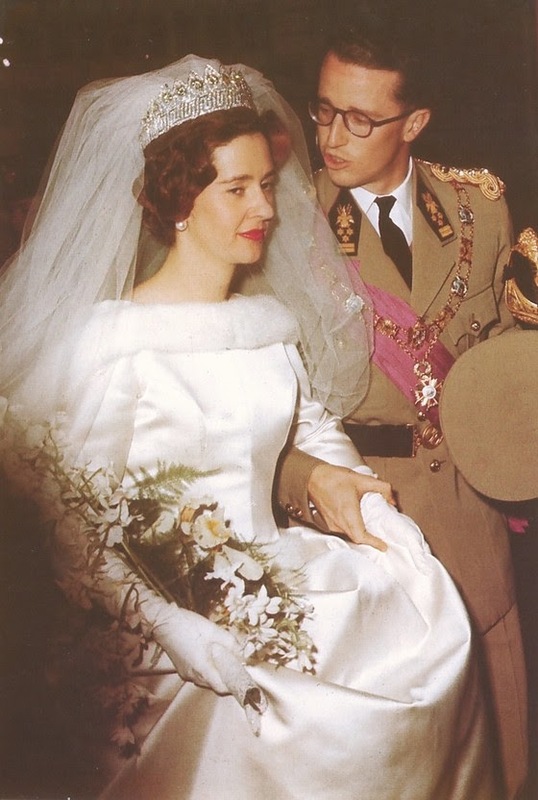 When Fabiola was widowed in 1993 she passed on the tiara of the nine provinces to Paola, the new queen, who often wore it for big occasions. ... also using the base as a choker. 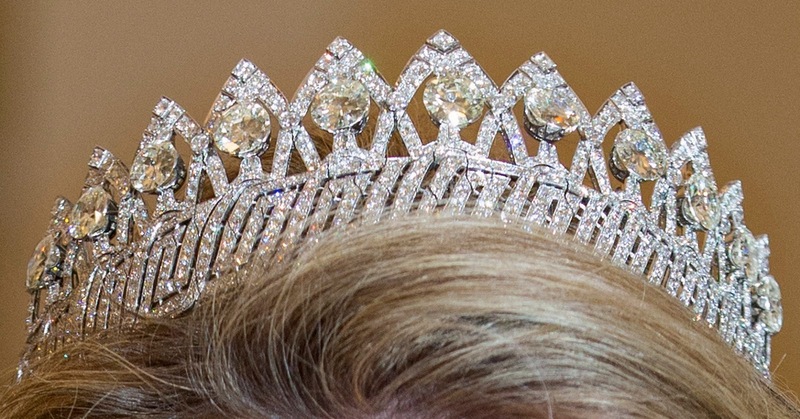 Since this is one of the biggest pieces in the Belgian royal family, it’s only worn by wife of the reigning monarch. 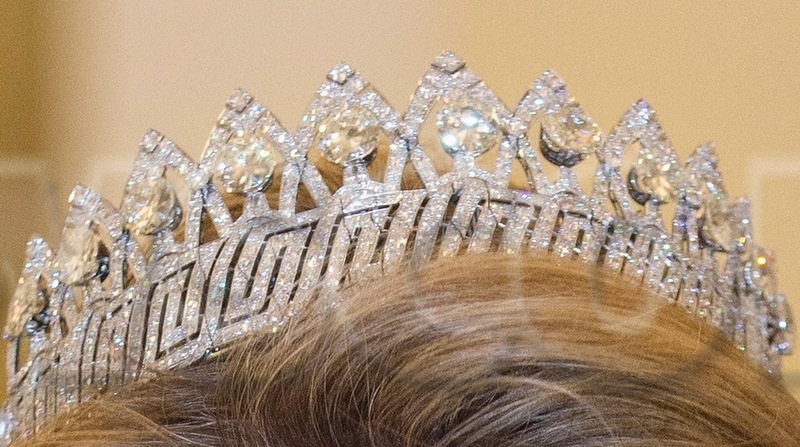 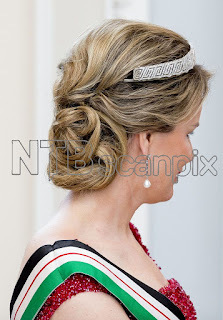 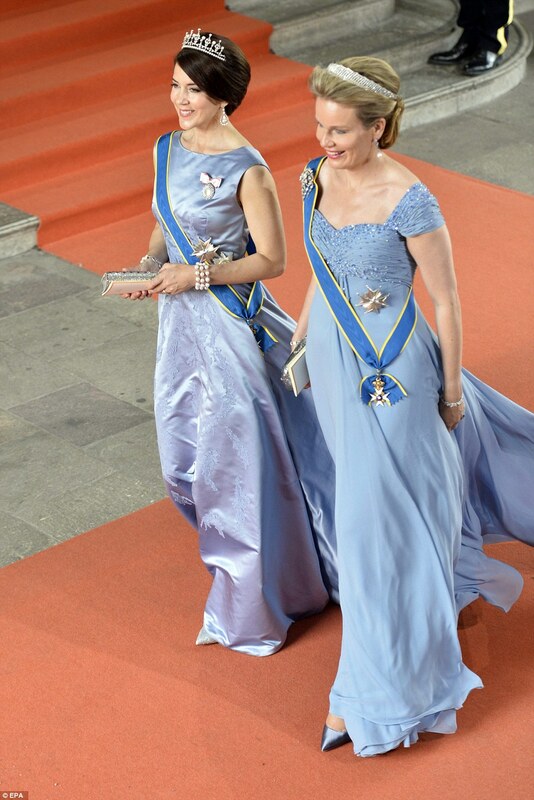 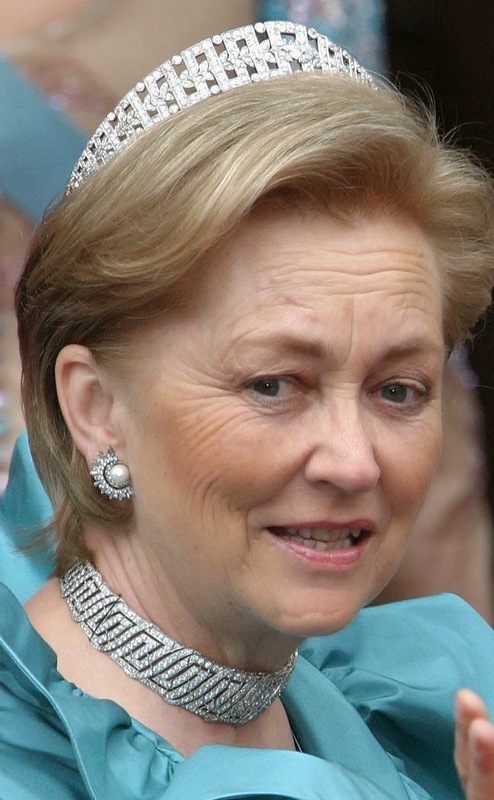 Since becoming queen in 2013, Mathilde has worn the tiara in its full version and using only the base.